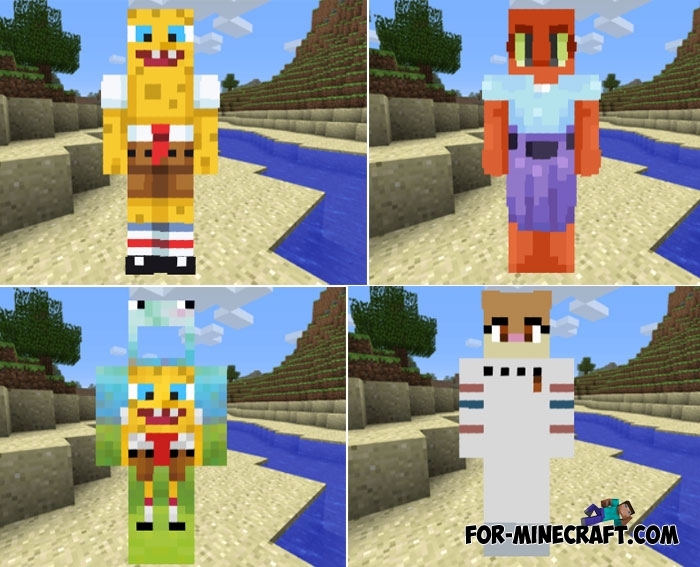 Go to Bikini Bottom along with this skin pack. It allows you to become one of the characters of that cartoon by getting a high-quality 3D model. But before installing them, pay attention to the beautiful replica of the Bikini Bottom city where the map maker will put a lot of effort to maintain the scale and recreate the correct appearance of each house. How to install the SpongeBob skin pack?